The flag of Austria has three equal horizontal bands of red (top), white, and red. 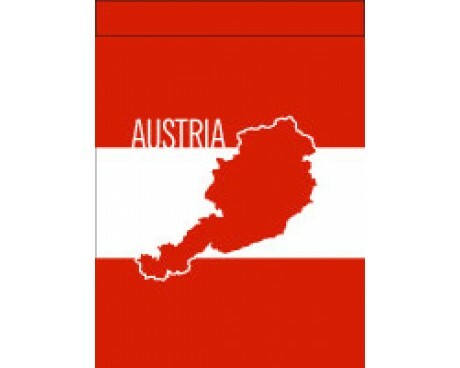 The Austrian flag is possibly the oldest national flag design in the world. The Danish flag and the Austrian flag are said to be the oldest in use. Duke Friedrich II (1210-1246), the last of the Babenberg dynasty, who was nicknamed the "Quarrelsome" or the "Warlike", designed a new coat of arms in red-white-red in the year 1230 in his attempt to become more independent from the Holy Roman Empire. The Naval Ensign has three equal horizontal bands of red, white, and red, with the coat of arms surmounted. 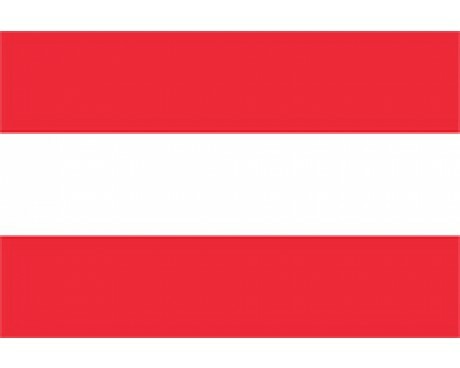 The nation of Austria has been around for hundreds of years, but the Austrian flag has changed surprisingly little over that time. 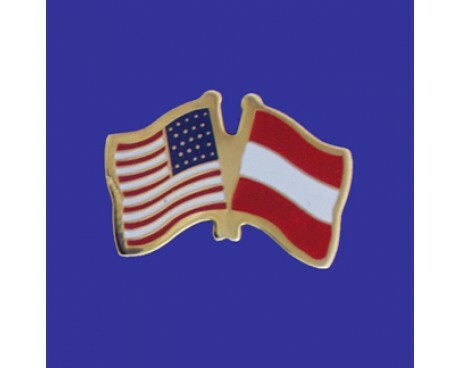 Only two Austrian flags have seen significant use, one that represented the nation and people of Austria itself, and one that came from the colors of the ruling Hapsburg dynasty. 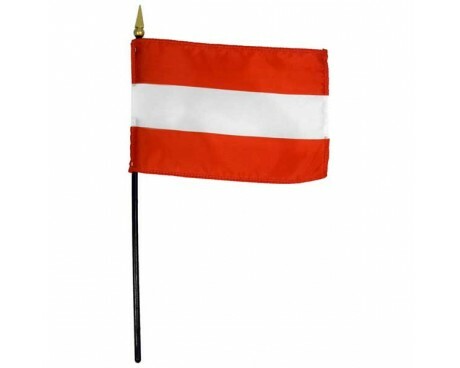 The current and oldest of the two Austrian flags is a horizontal, bicolour triband of red and white. It is sometimes shown with the Austrian coat of arms in the center. The red and white pattern originates with the Babenberg dynasty's coat of arms, which were red and silver. Legend says that this pattern originated with Duke Leopold V when he fought in the Siege of Acre during the Third Crusade. The legend says that he went into battle wearing a white surcoat, which got stained a deep shade of red during the fighting. Only the part that was covered by his belt remained clean. He saw the bloody red with a clean white stripe when he changed his clothes after the battle, and he thought it was so striking that he took it as his personal heraldry. Whether that story is true or not, the pattern remained with Austria even after the Babenberg dynasty died out. 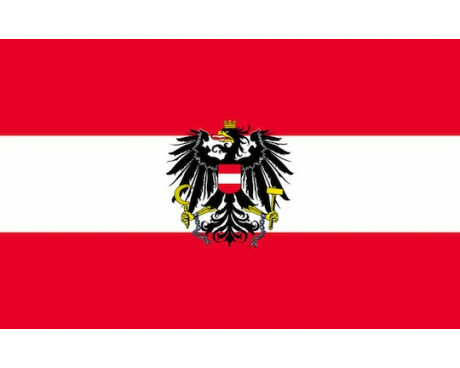 Every successive dynasty that ruled Austria adopted the colors when they took the throne and eventually they came to be associated with the nation rather than its kings. The other Austrian flag is a simple bicolour of black and yellow, which comes from the banner of the Holy Roman Empire. 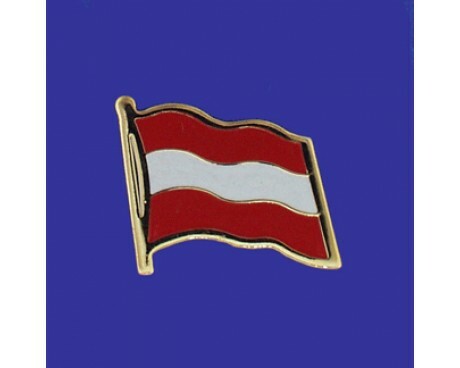 It was technically the flag of the Hapsburg dynasty rather than the nation of Austria, but it became associated with Austria because that was the center of the Hapsburg empire. The Hapsburg family often used the two flags together, so that they could emphasize Austria's importance at the same time that they emphasized their broader rule. This flag fell out of use after the Hapsburg dynasty was removed from power and the nation of Austria-Hungary was broken up into its constituent parts, which happened after the first world war.